This year has a couple of special events going on in and around the Czech Republic in celebration of the creation of the Republic’s 100th anniversary so the international firework competition was bound to include a nod to this incredible country and its people. There are teams competing from around Europe including Surex Fireworks from Poland, Pyro Events from Romania and Lux Factory from France who will all create a 17-minute display, choreographed to music. In acknowledgement of the anniversary of the country, the teams will also have to include a 2-minute piece from renowned Czech composer Antonin Dvorak. This is the 21st edition of the event which has been gracing the skies over this beautiful and magical place since it first started in 1998 as a non-competitive event. When you consider that the event brings over 100,000 spectators to the event, you can only imagine the organisation involved but it continues to delight and thrill old and young alike, year on year. Of course, it is not just about the fireworks but is also the start of the ‘Summer Season’ for the people of the Czech Republic and includes, therefore, a great deal of the Bohemian culture in the celebrations. Last year, the winning team were Pirotecnia Ricardo Caballer from Valencia, Spain with the themes “Magic Dreams”. The event will put the best of the best from Europe up against one another. 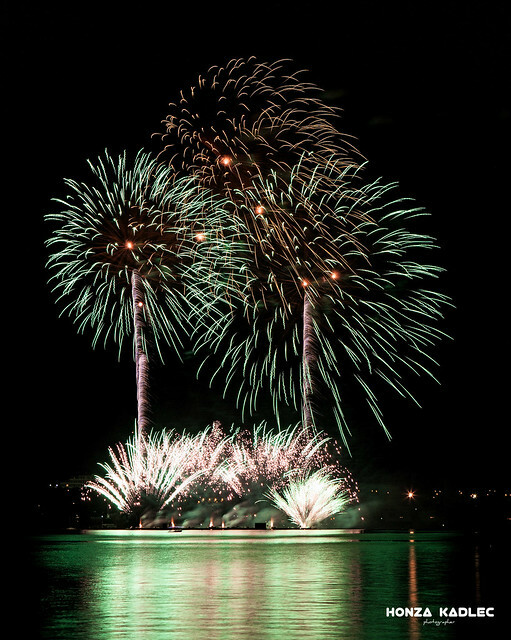 2016 marks the 19th International Firework competition over the waters of the Brno Dam, the surrounding Marina’s, beaches and close to an artificial lake to add multiple facets to the light of the fireworks reflected in the waters. Started in 1998, the event was either non competitive, exhibition displays or limited to national competition through till 2003 when it achieved status as a significant International Competition. This year, in addition to representatives from of course the Czech Republic, Spain and Slovakia, the popular team from Portugal, Macedos Pirotecnia, return to the competition after an eight year break. They are acknowledged historically as THE most successful competitive team in the history of the event, after having won the top prize three years in succession. Each of the competitive displays must last 22 minutes and attract crowds of over 100,000 spectators to each show. Without a shadow of a doubt THE biggest firework event in the Czech Republic but it’s about more than just the fireworks. Begun in 1998 as a purely national competition, it moved onto the international stage in 2003 and has never looked back. All of the displays are fired at 10:30 but this festival has a unique quality where they have prelude, interlude and epilogue displays from the host countries primary display companies. Last year’s winner of first place at Starobrno – Ignis Brunensis was Nanos Fireworks and Special Effects from Greece. The winning display was impeccably timed to coincide with music from classical to The Verve and Robert Miles reflecting perfectly the change of emotion of the varied music. Check out the video below, especially when the Robert Miles track kicks in and the bursts of the fireworks hit the beat perfectly – truly captivating and worthy winners of the title. 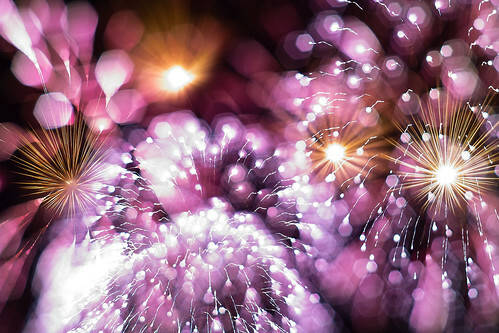 A collection of the best firework display footage can be viewed here. All the music for this event will be aired live via the local radio station KISS HADY 88.3FM so no matter where you’re viewing the fireworks from, you can enjoy the music on your radio or phone app to enjoy the fireworks in complete conjunction with the music. This event has been won by some of the biggest names in the industry including Foti Fireworks of Italy 2012, Vaccalluzzo of Italy 2011 and Grupo Luzo of Portugal 2009 so not to be underestimated and of course the organisers, Flash Barandov SFX team, who have won some of the industry’s highest accolade’s will be opening and closing the event. All teams firing MUST use the Galaxis Firing system thanks mainly to an ancient European law which regulates the use of non authorised technical applications. Flash Barandov SFX are acknowledged as one of the most welcoming teams around too and they take care of everything including hotel accommodation, transport and as mentioned, supply the tech systems and engineers from Galaxis to assist in set up and firing. They even collect all the fireworks from storage warehouses and transport them to the firing site with mortars and associated equipment. In addition to the fireworks, which bring up to 180,000 visitors to the region, there is plenty to do with the usual concession stands, trade stands alongside fair-rides, concerts and street parties. As soon as we have any results, we will update you.